Hi everyone, It's Stephanie here with a layout to share with you. 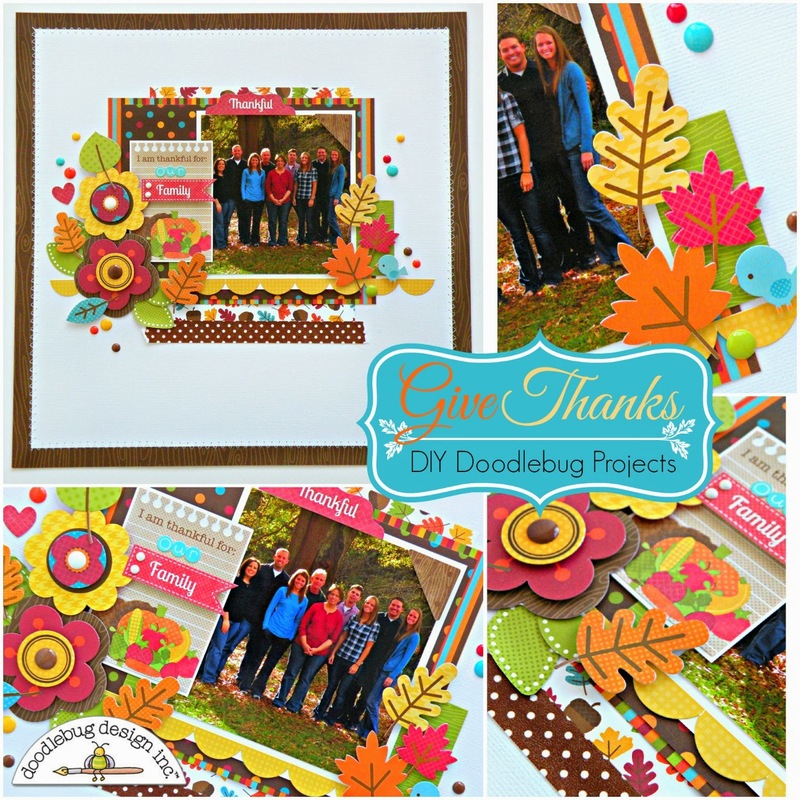 November is a Month of Thanks so I found our Doodlebug assignments very fitting and perfect for this time of year. 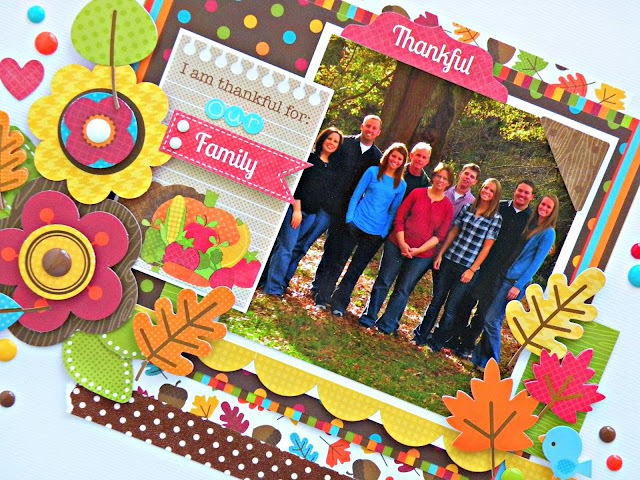 I chose to do my layout on one of the things I am most thankful for in life, our family. Even though this picture was taken a while ago before the babies were born it's the only one I had of all of us together. 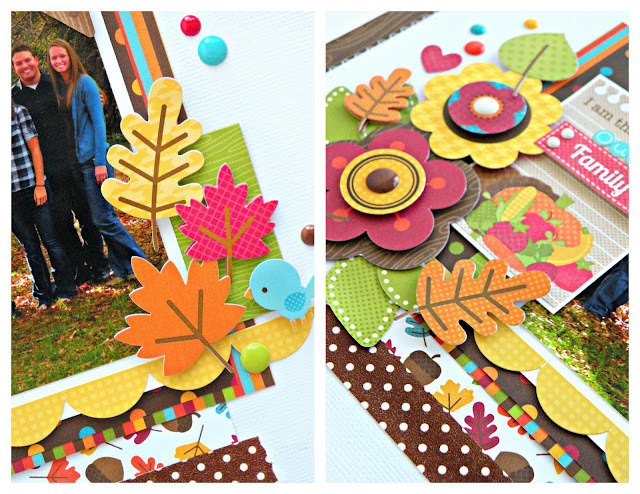 The Happy Harvest Collection is full of Fall and one of my favorites of the new releases, all the leaves and autumn colored flowers screamed to be clustered, they lend perfectly to the fall feeling. Fall is my favorite time of year for so many reasons, the cooler temps, the colors of nature and the sense and feeling of family closeness. I'm not sure how they managed to capture all those things in a paper collection but they did and they did it well. This is just gorgeous!! Such lovely colours!! Beautiful layout.... Thankful for My Lord,,, my family and life !!! BEautiful! So thankful for employment for both my husband and I, two adult children who are also employed, significant others for each of them, good health, a roof over our heads and food on the table. This is stunning. Love it.